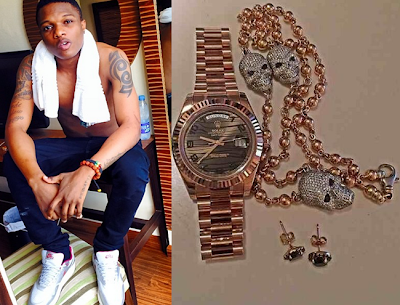 Wizkid wants Nigerians to change their orientation about him displaying his wealth on social media. According to him, what he does is not showing off, but trying to motivate his fans with what he has achieved from his hustles. “I don’t show off my wealth on the social media. Most of the things I have acquired in life, I never had them before I started hustling. So, now that I have them, I need to show people that these are the things I have gotten from my hustle. When I started, I wasn’t wearing gold necklaces and wrist watches. So, when I buy these pieces of jewellery, I display them for my fans to get them motivated,” he told Matinee in a recent chat.